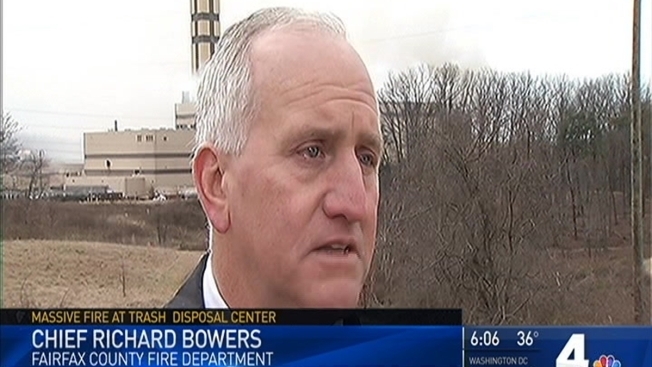 Three stories worth of trash continued to smolder Friday afternoon at a waste-to-energy plant in Fairfax County, nearly a full day after it caught fire. It will take a few days to put out the fire completely, and even longer to determine its cause, said Fairfax County Fire Chief Richard Bowers, Jr. The 2-alarm fire started about 9 p.m. Thursday at the four-story Covanta Fairfax Waste to Energy Facility at 9898 Furnace Road in Lorton, Virginia, about 9 p.m. Thursday, according to the Fairfax County Fire Department. Workers reported the fire in the tipping floor area, where trucks dump 3,000 tons of solid waste daily into a pit. Fires in this area can usually be put out with water. 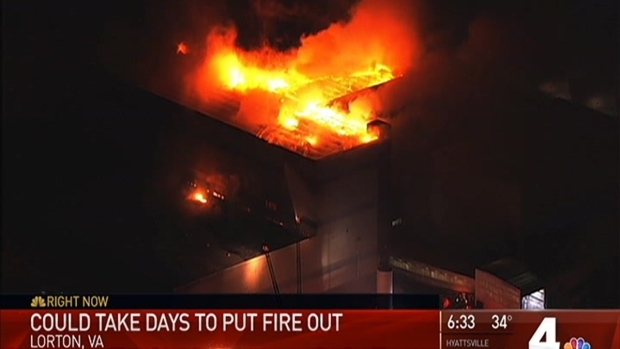 Three stories worth of trash caught on fire at the Fairfax County Recycling and Disposal Center in Lorton, Virginia, fire officials say. "This one got out of control; we're not exactly sure why," said Covanta Vice President Joey Neuhoff. He said they were conducting an investigation. All employees were able to get out safely, and no one was hurt. 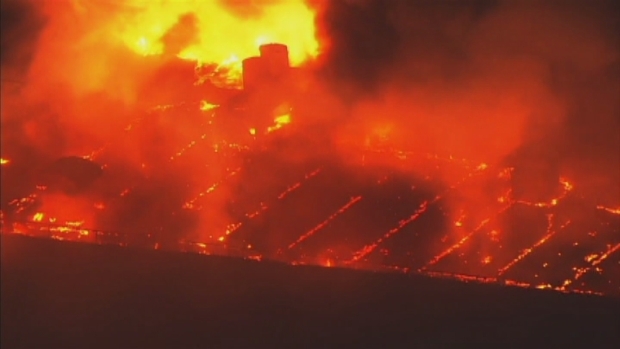 Chopper4 was over the scene Thursday night as the growing fire ripped through the roof of the industrial building. Smoke from the fire was still visible from nearby Interstate 95 the next morning. Firefighters were still working to get the fire under control Friday morning. Ultimately, it took 60 Fairfax County firefighters to get the flames under control. However, the debris continues to smolder, and smoke is drifting into nearby neighborhoods and communities like Lorton Valley. Clint Herbert, president of the Lorton Valley Homeowners Association, said he was told there were no air quality issues and that authorities have monitors in the area. 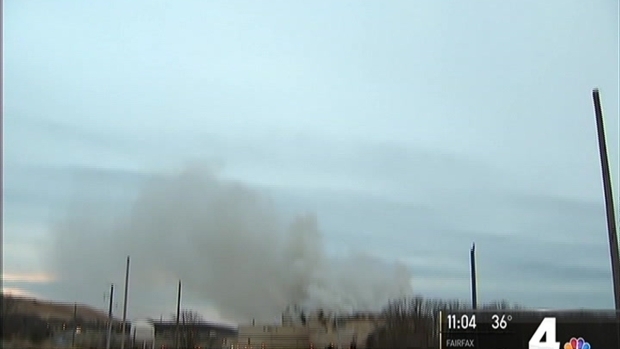 Dozens of fire units are responding to a major fire at a trash and recycling disposal center in Fairfax County, Virginia. Chopper4 flew over the scene. But some residents said they were having a hard time. "I get asthma when I get around smoke, and this has been really bad for me," said Lori Carrick.